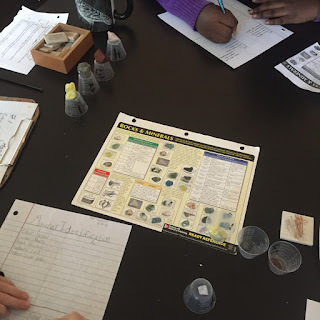 This week students are becoming detectives to discover the identities of mystery minerals! With the help of some simple tools, we are able to gather important data that can help us discover important physical properties of minerals: color, luster, breakage, hardness, and streak. There are many more minerals to be examined on our Montessori science shelf. Check them out!